Playa del Carmen – Hostellit kohteessa Playa del Carmen. Playa del Carmen -karttoja, valokuvia ja arvosteluja kaikista Playa del Carmen -hostelleista. Etsitkö halpaa hostellia, retkeilymajaa, edullista hotellia, huoneistoa tai aamiaismajoitusta kohteessa Playa del Carmen? Älä etsi enää, kaikki hyvät tarjoukset kohteessa Playa del Carmen ovat sivustolla Hostellit.com. 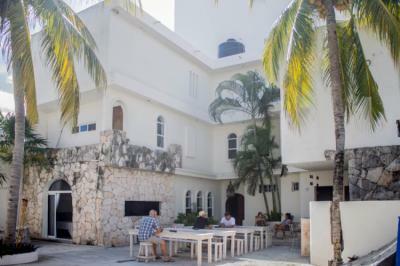 Kuten tuhannet ihmiset joka kuukausi, varaa hostellisi turvallisesti parhaaseen hintaan kohteessa Playa del Carmen. Tällä sivulla voit helposti löytää hostellin keskustasta, trendikkäistä lähiöistä, ylioppilas-kaupunginosasta, läheltä tärkeitä kulkuyhteyksiä tai nähtävyyksiä kohteessa Playa del Carmen. We are located in the heart of Rivera Maya. This former fishing town has quickly evolved into one of Mexico’s most popular destinations. 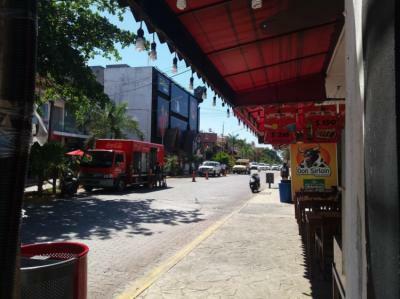 Playa del Carmen is a unique beach town filled with music, delicious gastronomic offerings, shopping centers. Known as the hub for explorers in the Riviera Maya offers adventures biking, hikes around mayan ruins and diving in the breathtaking cenotes to name a few. Excelente relación calidad - precio. Ubicación excelente a media cuadra de la 5ta avenida en pleno centro. Buen ambiente . Stayed here for the weekend with a couple of friends. Its pretty close to another place that we needed to be at, or attend to. The place is relaxing. The rooms and beds were clean and comfy. They also have great music! The people are friendly and we plan to go back soon! Such a wonderful stay! The property is nice, and the staff are very friendly and helpful. Location is good, loved the pool, and the rooms are clean. location and price! The best! fun and kind people operating the property. warm pool. warm and clean beds. loved it here! Idk if its just me, but the place felt a little dark for me. Overall, its nice. The place is clean and of great value. Great location too. Not complaining. This property is 2 minutes walk from the beach. 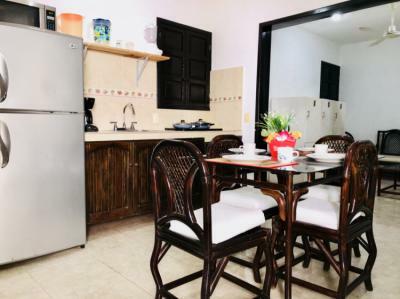 Dolce Vita Caribe Beach B&B is located in the 5th Avenue neighborhood in Playa del Carmen, 19.3 km from Cozumel and 30.6 km from Puerto Morelos. Akumal is 37 km from Dolce Vita Caribe Beach B&B, and Puerto Aventuras is 19.3 km away. The nearest airport is Cozumel Airport, 19.3 km from the property. 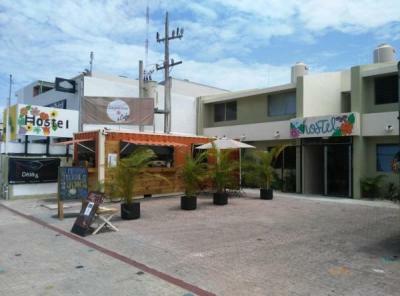 We are located only 5 blocks away from the beautiful Caribbean and just 4 blocks away from the famous Quinta Avenida where you will find restaurants, night clubs, bars and also be able to feel the "Playa Vibe" at its best. The hostel is also half a block away from Walmart where you can find food and other supplies to keep you going. The host was nice and sweet, the breakfast - simple but good, the pool is gorgeous, near 5th avenue, clean and comfy room/bed. The service was good, the facilities are clean. The beds are really comfortable. The bathrooms and rooms are kept clean. The internet works perfectly and the hostel is centrally located which is pretty convenient. I cannot speak highly of the staff they are very accommodating and friendly and made sure you get a good time during your stay. Hostellimme sijaitsee vain muutaman askeleen päässä Coco Bongosta, puolen korttelin päässä kuuluisalta Fifth Ave: sta ja Calle Corazonilta, 2 korttelin päässä supermarketeista, ADO: sta (linja-autoasema), Quinta Alegriasta ja rannasta. puolen korttelin päässä 12th Ave, lähellä kaikkia ravintoloita, baareja ja yli Fonda del Carmen ja The Hole Social Pub. We are located right half block from 5th Avenue that is the heart of the city, just 3 minutes walk from the main ADO bus station where you can find a 24- hour stores, craft shops, restaurants, coffee shop, spas , souvenirs and more. 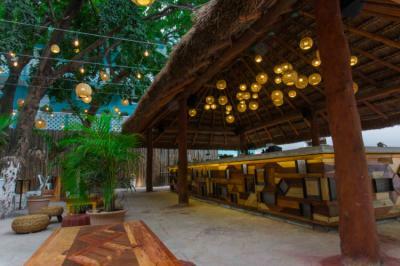 Perfect for adventurers wanting to know Playa del Carmen. 500 metrin päässä ADO International Bus Station -asemalta Hotellissa on yhteinen keittiö. Playa del Carmen Maritime Terminal on 600 metrin päässä La Tortuga Azulista ja 28 de Julio -aukiosta 700 metrin päässä. Waking up next to the beach is what makes this hostel awesome. Close to the shops and stands, bus stations, so easy to go around. Breakfast was good which you get to enjoy on the terrace with the view of the beach. I'd reccomend getting the 4-6 bed dorms. 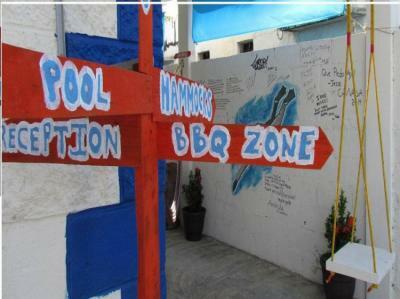 The hostel has a great atmosphere, there are parties on the terrace, BBQ nights. Great customer service from the staff. 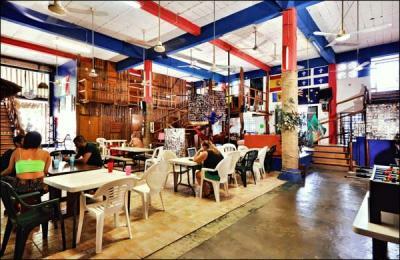 Easy access to ADO airport bus, ferry to Cozumel and public beach.